Doubt sows the seeds of not trusting G-d and thus we are stopped from pursing G-d with all our heart mind, body, soul, and might. Doubt thus leads to attacks from without and from within and this will stop us from entering into The Promised Land. 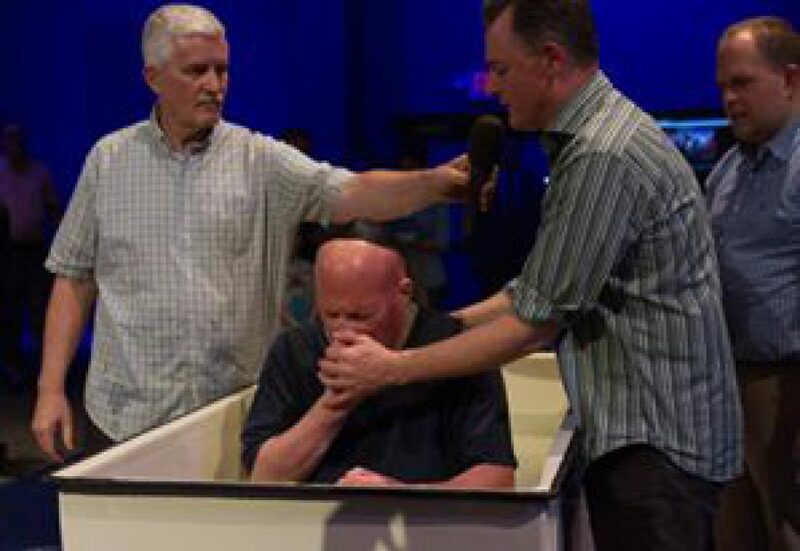 Doubt will also stop the Messianic Redemption. L-rd please remove all doubt from me. “At the next stop, there was no water to drink, but instead of trusting that G‑d would provide for them, the people complained. G‑d had Moses strike a rock with his staff, and this rock miraculously gave forth enough water for all the people’s needs. This “well” accompanied the Jews throughout their trek through the desert. The Jews were then attacked by the nation of Amalek. The physical attack of the nation of Amalek was the outer manifestation of the spiritual attack of the people’s inner Amalek – their doubt regarding G‑d’s care and involvement in their lives. This inner Amalek continues to plague us today, attempting to sow doubt and cool our religious fervor. 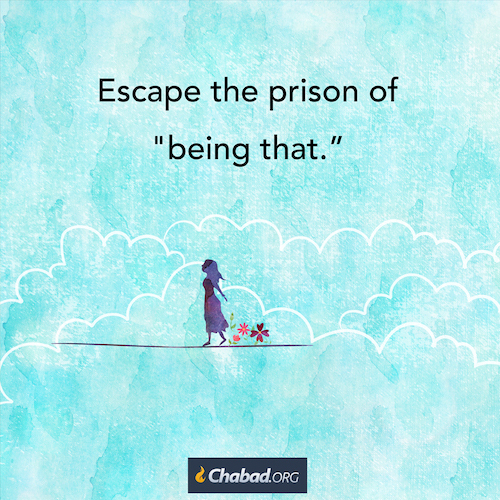 It acknowledges that G‑d exists, but tries to convince us that G‑d is too great to care about the details of our Jewish observance. 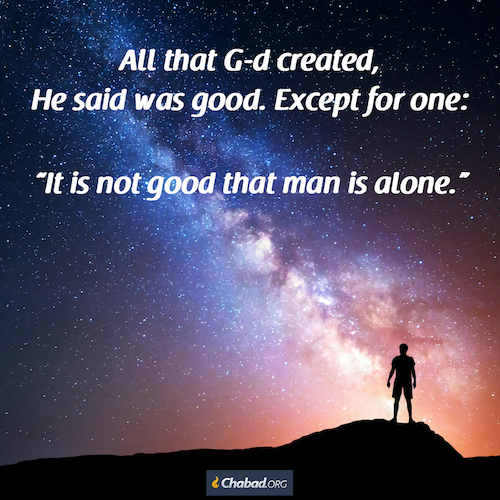 Doubt leads to doubt, and eventually our inner Amalek convinces us that G‑d is not involved in human life altogether. That, in turn, causes us to abandon our search for G‑dliness and spirituality. Thus, just as the Exodus from Egypt reoccurs in every generation and every day, so does the war with Amalek. Every day, we must silence the voice of doubt that seeks to halt our spiritual progress. Once we successfully leave our inner Egypt and overcome our inner Amalek, we are ready to receive the Torah anew and enter our Promised Land. Successfully implementing this process of spiritual growth on an individual basis will hasten its collective fulfillment, bringing the world to its Messianic Redemption.1 Sichot Kodesh 5739, vol. 2, pp. 144–145; Torah Or 84b–85b; Sefer HaMa’amarim 5747–5751, pp. 101–105. A dish of food will fill one stomach, but the next in line is still hungry. Even a furnace demands more fuel as freezing souls gather to absorb its heat. 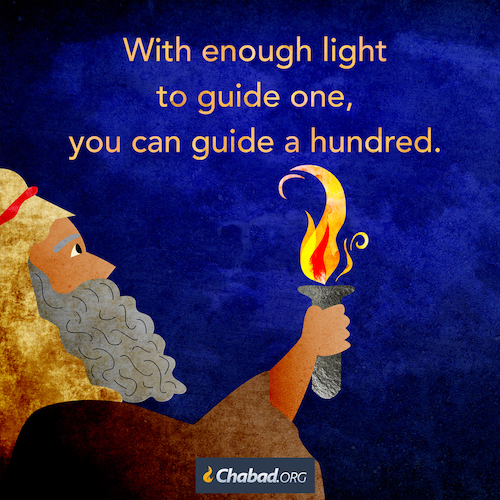 But a light that guides one person will guide a hundred. Your soul, before she came here below, stepped higher and higher each day. So why did she descend below? What did she gain by coming here? 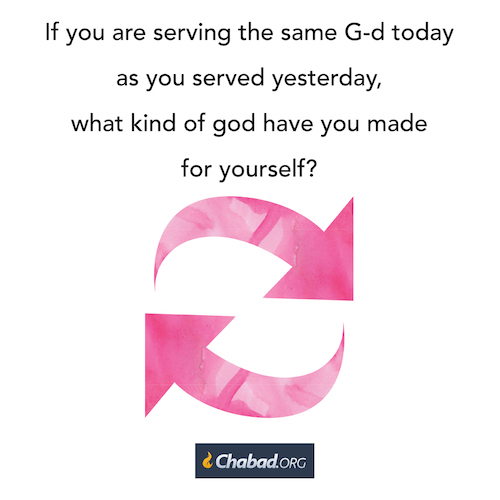 If you are serving the same G‑d today as you served yesterday, what kind of god have you made for yourself? 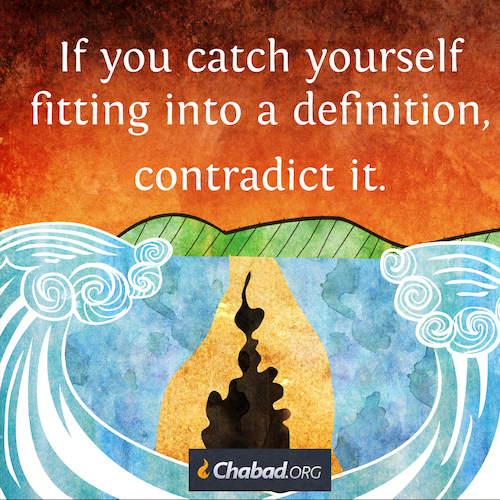 Can G‑d be frozen and defined? Does He get older with each day? Does He eventually, then, become of a relic of the past? Where there is love and where there is awe, each day brings a new discovery of wonder. G-d promised us blessings and abundance if we do HIS mitzvahs. Doing not thinking is the key. It is action verb. This must be done by me. It used to be I have to. Now it has changed to I wanted to. Today’s Daily Wisdom of the Torah ties in perfectly to this wise G-dly teaching of Pastor Steve Gray. 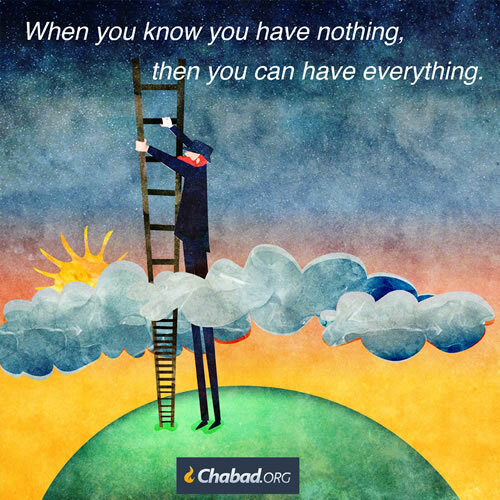 The money quote:” The sabbatical year teaches us that when we do what G‑d desires, He will bless us – not only spiritually, but materially as well.1Likutei Sichot vol. 2, pp. 548–549. “G‑d told Moses that the Jewish people must let their fields in the Land of Israel lie fallow for one full year after working them for six years. In order to enable them to do this, G‑d said that He would “bless” the produce of the sixth year, making the land yield enough for both years. Although leaving the land fallow for a year may indeed improve its fertility, this cannot be the purpose of the sabbatical year. If it were, G‑d would have promised to increase the yield of the year following the fallow year, not the year preceding it. By promising an increased yield in the sixth year – which should naturally be the least productive! – G‑d shows us that it is specifically and exclusively His blessing that is the source of the increased yield. This is when G-d introduced us Jews to the Sabbath. ‘The manna did not descend on the Sabbath. Instead, a double portion descended on Friday. This was the only exception to G‑d’s directive not to save manna from one day for the next. This is the first explicit mention in the Torah of the obligation to observe the Sabbath. It is appropriate that the Sabbath is introduced in connection with the manna, for the Sabbath and the manna share a common purpose – to underscore our complete dependency upon G‑d as the true source of all sustenance. Belief that human effort is the sole determining factor for success makes it hard to justify giving up a full day’s income. Not working on the Sabbath is a clear affirmation of our faith that sustenance lies in G‑d’s hands and that our work is no more than a vessel through which G‑d’s blessings can flow.1 See Likutei Sichot, vol. 16, pp. 173–182. 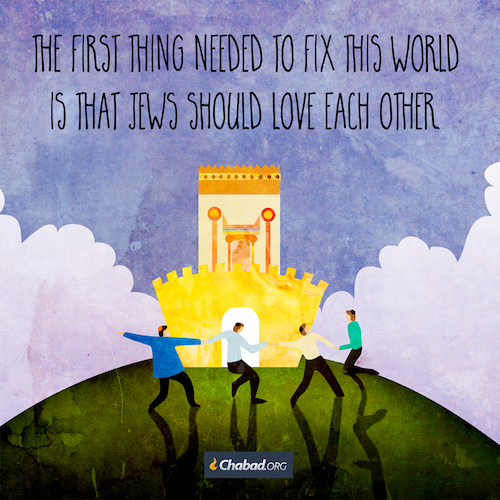 I must learn that human effort and G-d’s blessing work together. Without my effort or better yet what my teacher Pastor Steve Gray calls my response to G-d direction is key for me to have a relationship with G-d.
Everything comes from G-d therefore I must pick up the plow and beginning plowing. “Led by G‑d’s pillar of cloud, the people proceeded on their journey toward Mount Sinai. On the 15th of Iyar, the Jews ran out of matzo. G‑d then began to feed them with manna, a type of bread that descended from heaven each morning. The manna taught us that our sustenance comes from heaven. Even when it appears to be the fruit of our own labor, it is in fact a gift from G‑d.1 Likutei Sichot, vol. 16, pp. 177–178.